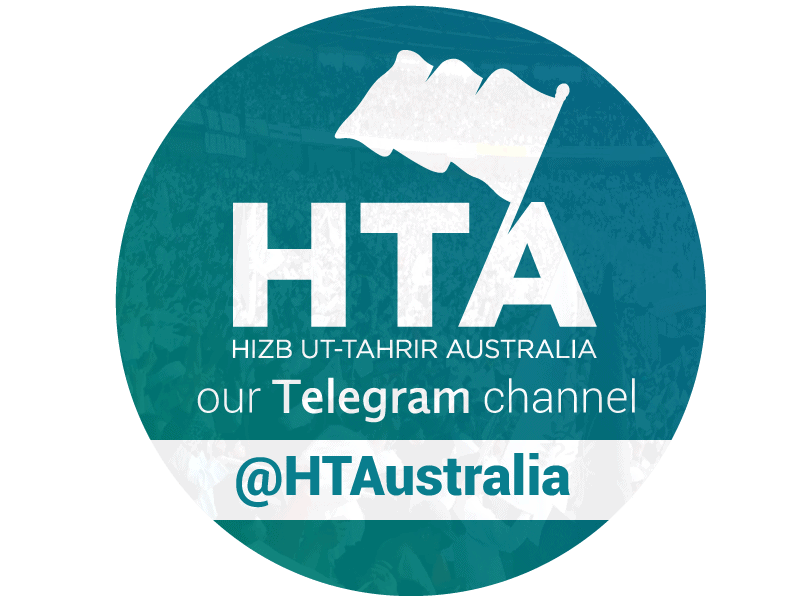 On the 26th of August 2017, Hizb ut-Tahrir Australia held an event regarding Saudi Arabia’s foreign policy in the Middle East. We present here the talk by Br Hamzah Qureshi, including slides that were used on the night. Saudi Arabia has been playing a more active role in the Middle East in recent years: bombing Yemen, backing certain groups in Syria, sizing up Qatar. What are the objectives and trajectory of Saudi foreign policy in the region? 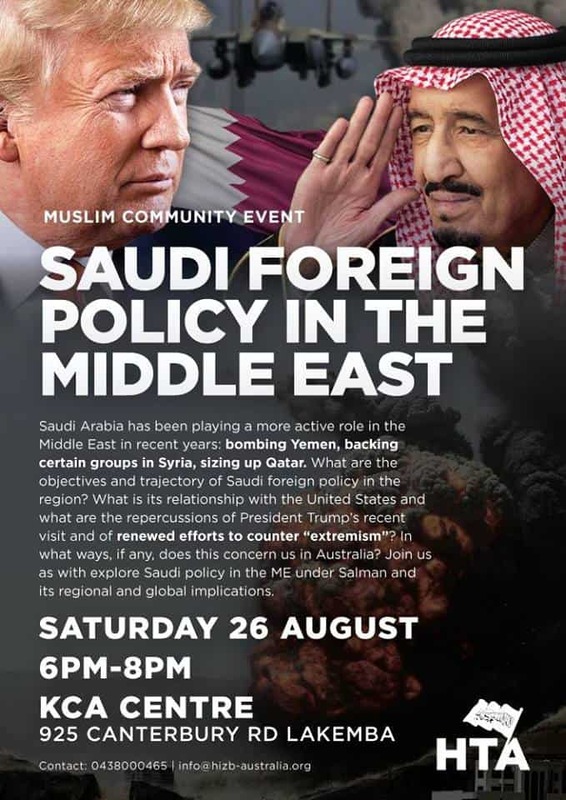 What is its relationship with the United States and what are the repercussions of President Trump’s recent visit and of renowned efforts to counter “extremism”? In what ways does this concern us in Australia? The talks below explore Saudi policy in the ME under King Salman and its regional and global implications.